This is the best book ever yet published on the subject of near death experiences in the English language, and probably any language. Saying that, it wins through mainly because it understands itself not to be a scientific study (it is not) but a scholarly work of comparative literature. I have read just about every book (in the English language) written on the near death experience worth reading, as well as many that were not worth reading. This is one of the very best. 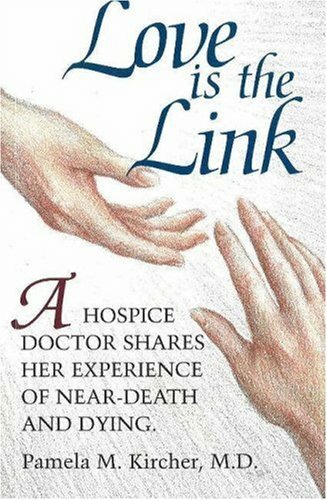 It charts the history of the near death experience through the Western Christian traditions, showing how it has formed itself, at least in Europe and America, out of those traditions. This is far from being the whole mythic picture of NDEs, but Zaleski has done a wonderful job of showing how deep and evolving those roots are even from within Christianity. Go back 200 years and the experience is almost nothing like what it is today, with its "spiritual democracy" and "self empowerment" motifs, clearly developing in parallel with social changes in the intervening period. Folks who don't know this history, or who are blissfully unaware of it, often assume that there is a single changeless thing called a "near death experience" that remains constant and consistent across the world. This is not so. Any similarities that can be ascribed to "experiences at the boundary of death" are in fact VERY general, as anyone who cares to examine Thai experiences, Indian experiences, Chinese experiences, Melanesian experience, and the few other non-American groups who have ever been studied, will soon see for themselves. The myth of global consistency arises out of flawed methods of sampling. For instance, people will only report having an "NDE" if they know, first of all, what that term even means, and what it is taken to refer to. When submission is left to individuals supplying their own reports, instead of field study, what happens is that this creates a heavily weighted bias, even with "people from other cultures", for the Americanized template of what one of these experiences is supposed to be, which in turn reinforces the mythos that this template is "consistent". These other culture cases, for instance, are often people who have lived in America, have access to the internet, have read of other American-style experiences, and so on. When you break through all that assumption, you find what you find with Melanesian or Thai experiences, which is that they are RADICALLY different from the American Moody-esque "NDE template". 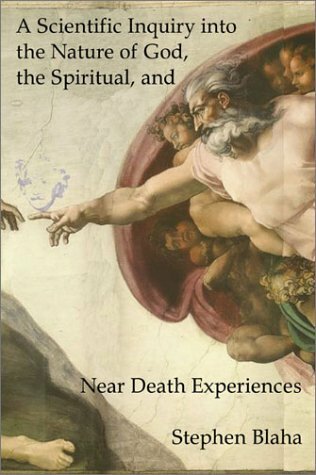 This book was the first and original foray into this much understudied question of the cultural variance in death-boundary spiritual experiences. A truly comprehensive work on that topic could scarcely be written, because it would swell into a Golden Bough, requiring lifetime(s) of work in field anthropology to gather the necessary data, or even assimilate the scattered clues in old texts of various nations, cultures, and religions. Yet it is a task that must be done if we are ever really to understand what these experiences are, and how they grew into being. Zaleski's book is one of the very few that correctly sees and understands this issue. Most modern publications along with their authors believe that the NDE either arrived in 1975, or else is fundamentally the same across geography and history. Nothing could be further from the truth and are literal representations of real events. Just read a few Thai NDEs, and you'll see the problem much more efficiently than by reading my words here. 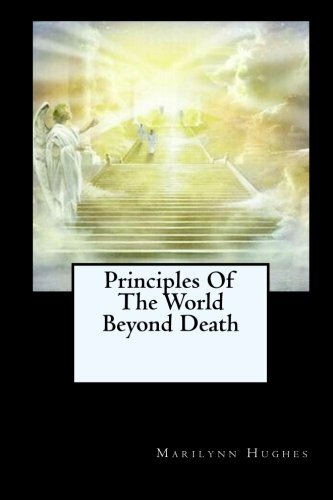 Meanwhile, if you are interested in NDEs and you haven't read this book, I would say it is like being interested in movies and not having seen Gone With the Wind. An Important Study of the Near-Death Experience in Both Medieval Literature and Modern Accounts. _Otherworld Journeys:Accounts of Near-Death Experience in Medieval and Modern Times_, published in 1987 by Oxford University Press, by religion scholar Carol Zaleski is a fascinating account of the near-death experience as found in literature from medieval and modern times.As the author notes the term "near-death experience" is defined as "the testimony of individuals who have revived from apparent death was well as those who have only come close to death" as explained by Raymond Moody.As the author notes definitions of such terms as death and deathbed visions, etc. often become blurry, thus it is necessary to use terms such as "near-death experience" and "otherworld journey" interchangeably.This book provides an excellent examination of such experiences and journeys in the literature from the medieval period as well as comparing it to modern accounts of near-death experiences.The author offers some useful reflections on the ubiquity of this phenomena and what this might have to say for the survival hypothesis.The author also examines cultural factors that might be involved in the near-death experience and how such factors play such an important role in interpretation.As such this book remains an important one for the study of near-death experiences and otherworld journeys from ancient and especially medieval times to the modern day. 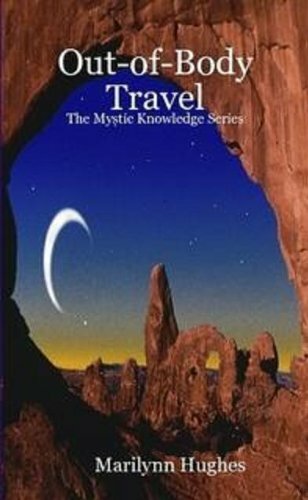 In the "Introduction", the author lays out the role of near-death experiences and otherworld journeys in the literature of all cultures.For example, the author considers the role of the otherworld journey in accounts from those of the Prophet Mohammed, Zarathustra, Mani, William Blake, and others and shows that these individuals share many common features in their accounts.The author then considers various accounts from a wide scope of cultures and traces the origins of the notion of the near-death experience to Raymond Moody's 1970s classic _Life After Life_.The author then provides a discussion of the material that will appear in this book. Part I of this book is entitled "Orientation".The first chapter is entitled "A Wide-Angle View" and considers the disposal of the dead beginning with Peking man and the Cro Magnons in the Paleolithic era up until the arrival of homo sapiens sapiens and into the ancient world.The author considers otherworld journeys in the accounts of shamans, in the epic of Gilgamesh, from the ancient Egyptians, from the epics of Homer and in ancient Greece, among the Chinese, in the _Republic_ of Plato, among the ancient Gnostics, among the earliest Christians, and the rise of the Kabbalah.The second chapter is entitled "Four Models of Christian Otherworld Journey Narration".This chapter considers otherworld journeys in medieval Christianity, making mention of for example such topics as:The Otherworld Journey as Apocalypse:The Vision of St. Paul, The Otherworld Journey as Miracle Story:The Dialogues of Gregory the Great, The Otherworld Journey as Conversion:The Vision of Drythelm, and The Otherworld Journey as Pilgrimage:St. Patrick's Purgatory.Many of the comments on purgatory and St. Patrick's Purgatory can also be found for example in such classics as the study on purgatory made by Jacques le Goff. Part II of this book is entitled "Medieval Christian Return-From-Death Stories:A Thematic Treatment".The third chapter is entitled "The Other World:Medieval Itineraries".Here, the author considers such topics as the exit from the body (mentioning the exit of the soul through the gateway of the mouth from the body, as well as death as a violation of the unity of the body and the soul), the guide (mentioning the role of the guide in the other world journey), and the journey itself (mentioning for example such classic accounts as those of Dante in _The Divine Commentary_ or those of the seer Emmanuel Swedenborg).The fourth chapter is entitled "Obstacles".Here, the author considers various obstacles faced by the individual in the otherworld journey including such things as fire, the test-bridge, and the encounter with deeds.The fifth chapter is entitled "Reentry" and considers the reentry of the individual into the world after passing through the otherworld journey.This chapter considers such topics as the visionary transformed, the visionary as messenger, the narrator as messenger, vision and revision, and the interpretation of visions. Part III of this book is entitled "The Modern Near-Death Narrative:A Thematic and Comparative Treatment".The sixth chapter is entitled "From Deathbed Visions to Life After Life".Here the author considers such topics as nineteenth and twentieth century precursors (mentioning such things as the work of individuals such as F. W. H. Myers and the Society for Psychical Research as well as other early researchers), the role of _Life after Life_ as a "new phase" (mentioning the importance of Raymond Moody and his classic 1975 work which coined the term "near-death experience"), and the researchers (mentioning the importance of such individuals as Kenneth Ring, Elizabeth Kubler-Ross, and others and noting the conflict between new age type versions of near-death experiences and more fundamentalist Christian versions).The seventh chapter is entitled "The Other World:Modern Itineraries".This chapter considers such modern features of the near-death experience as attitudes towards death and dying, images of the soul, liminality, the journey, the light, judgment, "falling into heaven":mystical states and visions of the whole, otherworld topography, and otherworld demography.In particular it is interesting to note that modern versions involve less fear of judgment and a more pleasant experience of death than medieval versions may have.The eighth chapter is entitled "Back to Life" and examines such topics as approaching the point of no return, the visionary transformed, and the visionary and the interviewer. 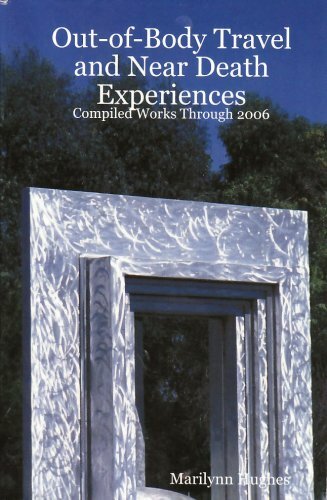 Part IV of this book is entitled "The Interpretation of Near-Death Visions".The ninth chapter is entitled "Ecstatics and Statistics" and considers such things as the credentials of ecstatics and the possibility of verification of near-death experiences.The tenth chapter is entitled "Explanations and Counterexplanations".Possibilities considered in this chapter include the question of whether the experiencers were really dead, models of death, natural causes of the near-death experience, and various counterarguments.The eleventh chapter is entitled "Evaluating Near-Death Testimony".This chapter considers such topics as experiential claims, double vision, corporeal imagery, the question of interpretation, another world to live in, and the orientation of this study.The author ends by relating near-death experience to imaginative experience and states that near-death experiences have as much to say about the world after death as they do about ourselves as imaginative beings.The book ends with an appendix entitled "Chronology of Medieval Visions". This book offers an interesting study of the near-death experience and the otherworld journey in the literature from ancient times and especially the medieval period and compares this to the modern day.Such a study is highly useful for those who seek to understand about the possibility for survival of bodily death.In particular, it is interesting to note how many features of the otherworld journey have changed (but also how many remain the same) since the medieval period.As such, this book remains an interesting study and account for those who seek to better understand life and death and the possibility of life after death. I have started reading this book and I am sad to say its a bit difficult to read. There is no subject that intrigues me more than the near death experience, and I read everything I can find on the subject. This is one of those books that you have to read in dead silence or you will miss something in her very long, very complicated paragraphs. I suppose it is Carol's doctoral thesis or something. Its written in a flat accademic fashion that is a bit cold and technical. I am still going to plod through this book, but I will have to sit at a desk to do it, with pen, paper and dictionary in hand. I hope the information gleened will be worth the difficulty of getting through the research. I can only hope. 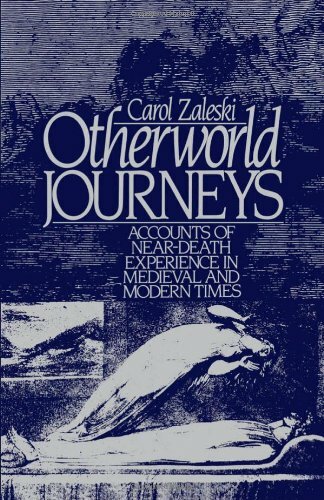 Otherworld Journeys: Accounts of Near-Death Experiences in Medieval and Modern Times by Carol G. Zaleski, is a scholarly look at "near death experiences" from the middle ages to the current times. It is a tad bit dated, but is still a wonderful jumping off point into this exciting area of study. She does her research very well, and presents a very thorough survey from both literature sources as well as first hand accounts, summarizing the major similarities between the time periods as well as their distinct differences. At the end she recounts some of the numerous theories out there surrounding NDE research, and gives her summation of the work she has completed. This book has a very scholarly tone to it, a very interesting read, but could be hard for some people to truly appreciate. I imagine it would be difficult to write an unbiased book about near-death experiences, especially if you had a religious bone to pick.However, Carol Zaleski succeeds in writing a very scholarly, fair-minded book, andavoids the trap of attempting to envangelize the reader.Either youbelieve people have out-of-body experiences, or you don't and Zaleskidoesn't attempt to convert you.What she does do (and this is what makes"Otherworld Journeys" so fascinating) is examine the influence ofculture and religion on near-death experiences.A twentieth-centuryAmerican will not report the same near-death experience as, say, athirteenth-century Italian.Why that is true is for the reader to decide,in light of the evidence presented by this interesting and well-researchedaccount. Who is God? What is His nature? Is there a scientific approach to understanding God? Can we apply modern scientific thinking to God in the same way that theologians apply classical reasoning to God? Are there spiritual phenomena? Can we rationally analyze them? 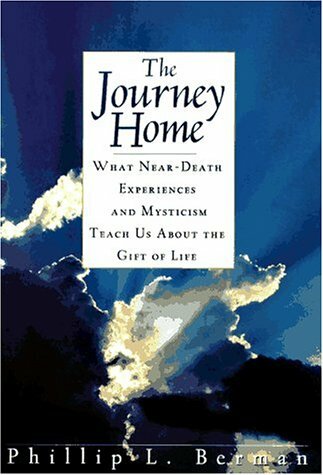 How do we interpret the apparently spiritual nature of Near Death Experiences? Can we explain how a blind person undergoing a Near Death Experience "sees" the operating table with his/her mind and can describe the people there afterwards? Compiled Out-of-Body Travel and Near Death Experiences WritingsThrough 2006! I love this book. It has four books for the price of one. If you don't know which Marilynn's book read firt. The Out-Of-Body Travel And Near Death Experiences: Compiled Works Through 2006 have the 1st, 2nd, 3rd and 4th Marilynn book you should read. Good price for a great four books in one. I have read dozens of books on the subject , and this one is a very good one. Researched , detailed , and logical in its conclusions . Thank you for writing this book. 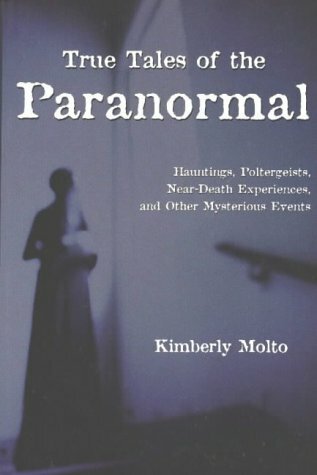 A well researched book on paranormal phenomena not easily or readily explained. Author Schmicker draws on the history of renowned thinkers and scientific minds to present his scientific evidence of its existence...Edison,Einstein, Freud, Jung, Dickens, Abraham Lincoln, and many others make compelling cases to support these findings. 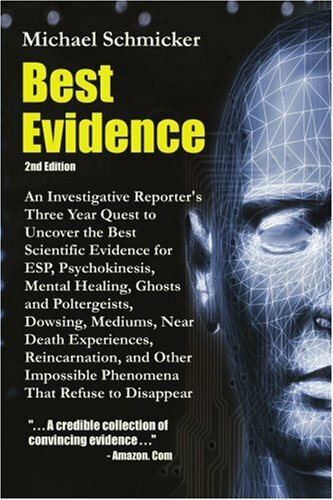 The book truly lives up to its title..."Best Evidence", and is a pleasure to read. Whether you are a "true believer, cautious believer, or just plain "curious", I think you will enjoy this book. I agree with the reviewer who says that "if you believe in psi then this is a good book." The problem is that there is not one scrap of evidence in favor of psi phenomena -it's not real. Like God. In short this book is poorly written. The author does not know how to tell a story or draw a reader in except in the title "Best Evidence." He skims through the relevant topics as if he a student trying to fill his word quota. I suggest sticking to Dean Radin's book The Conscious Universe. PS Why does the authors name appear at the top of every page? I found the book an excellent read; I am a recent PSI junkie.This is my 4th or 5th book on the subject.Although I agree it is well-done, I recommend Dean Radin's book as a better, and more credible introduction. UFOs and Abductions, Psychic Phenomena, The Mystical and Near Death Experience. These kinds of things cannot happen, not in the world of three dimensions of space plus time that we know. And yet, they do happen. This is why researchers of the paranormal are talking more and more about the need for a new framework of space-time to explain these phenomena, an expanded one in which they can happen. And in a strikingly similar scenario, many theoretical physicists now feel that our current space-time model is too small to resolve unexplained phenomena in their field, quantum physics. They're turning out extra dimensional theories - lots of them. Can any of these expanded frameworks also explain the paranormal? Yes, but only if one more factor is added into it - EXPANDED CONSCIOUSNESS. Incredibly, this factor has been overlooked. But just as incredibly, the need to include it in any theory of reality was recognized almost a century ago! This was proposed by R. M. Bucke in "Cosmic Consciousness" (1901), and P. D. Ouspensky, in "Tertium Organum" (1912). Both authors however, realized their theories were incomplete, and expressed hope that someday they would be reconstituted, in a more comprehensive work. Extra Dimensional Universe is that work. The author tries to hook a lot of complex phenomena into his proposals - which is perhaps understandable when taking into account the subject he is writing about - but in my view his book is frayed for it. The UFO/abduction phenomenon, NDEs and even God are touched upon, but never really given the depth or consideration they require. Instead of being asked if they would like to participate in this extra-dimensional theory business, and granted the respect of answering for themselves, they were apparently dragged along by the ear. The whole issue was not treated in spiritual enough a manner for my liking. You cannot tackle the subject of God and inner being and still try and be acceptably scientific: you need to ditch the labcoat wholeheartedly at the doorstep and walk in blindfolded. That said, a reasonable introduction to such things for those who are at a relevant level of "discovery". A bit lacking for those who have already made some headway though I feel. Easy approach to a difficult subject. I read this book. It is very well organized and the author seems to be well read on the subject of physics and also on philosophy supporting the new physics background. Part III of the book [Extra-Dimensional Theory and the New Physics] is a good approach for a difficult subject and the author manages to give examples and analogies for the person not well versed in physics and mathematics. The Kaluza-Klein theories are very simply explained. The only flaw I found, and it is not a limiting matter for a buying/reading decision is when the author enters the subject of "spiritualism" --as called by him, when he really meant "spiritism". Spiritism is not dead, as he asserts; perhaps Mr. Violette did not make an exhaustive investigation and rested on early 20th century information. He also gives a very simple excuse of scientific fundamentalism to drive away the spiritism philosophy or practice anywhere. Anyway, I will certainly recommend this book for someone who wants to begin learning the concepts behind parallel universes, and the latest physics research. I recommend that besides this book, another book and DVD may be read and seen, such as The Elegant Universe by Brian Greene and also the books by Dr. Michio Kaku, Hyperspace and his new one, Parallel Worlds. Certainly this is a good book and for its price you cannot go wrong. Very good. 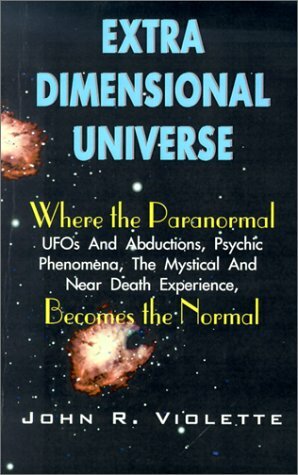 This book covers many important topics, and all of them well - from higher consciousness, to the fourth dimension, cosmology and quantum physics, and the entire range of paranormal phenomena. And everything is tied together quite neatly. What I find especially impressive is the step-by-step layout, which combines all these complicated theories and ideologies into one easy- to-follow format. This is the author's point - that these phenomena cannot really be understood separately, only together as parts of a larger extra dimensional WHOLE. (What I found fascinating is the way the otherwise surreal nature of UFO abductions is understandable as beings ofhigher consciousness operating in a larger space-time. )There is a real sensibility and lucidity to the author's presentation. I see it as an important breakthrough in understanding. It certainly stands out to me. This is not an advancement of Ouspensky, as its hype claims, it is merely an application of that great thinker's ideas to modern-day mysteries such as UFO's, psychic phenomemon, etc. It does this with some success and the author has some good ideas of his own, but much of the stuff on the fourth dimension is just a rehashing of the greats: Abbot, Ouspensky, and Hinton. Pass on this one and get Tertium Organum or New Model of the Universe, both of which are at least four or five dimensions higher than this thing. "Our time is really motion in extra dimensional space." "Our time is really motion in extradimensional space." This is a deceptively simple sentence, yet it speaks worlds. I have been reading everything available on the concept of a physical 4th dimension (as opposed to a mathematical abstraction) for two decades now. This book is not only the best summary- but it is the first in ages to break new ground. The basic premise here is that we (and literally everything else) are 4th dimensional entities intersecting with a 3 dimensional world. A profound correlary to this is: just because we no longer intersect does not mean that we no longer exist. The author addresses the subject on all levels- subatomic physics, cosmology, consciousness, and "unexplainable" phenomenon. 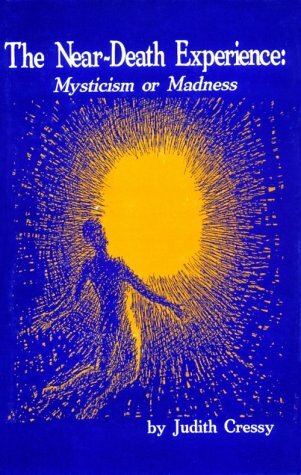 His tie-in with the "perennial philosophy" is especially elegant. Of course, if you prefer hard science, then the revelation that Cerenkov radiation represents an "optic boom" analogous to a sonic boom is worth the price of the book- at least to me it was. Not only is a tight case made for the existance of a 4th dimension made, but a reason and a purpose is stated for why we are just now becoming aware of it in significant numbers- survival pressure and evolutionary response. It is pointed out that on almost every level ours is a threatened civilization, indeed a threatened planet. 4th dimensional perception results in an expanded consciousness that transcends petty materialism and leads to a spirit of unity and interconnectedness (since everything IS really connected to a greater whole.) More importantly, it represents somewhere to exist if we do manage to render this planet uninhabitable. 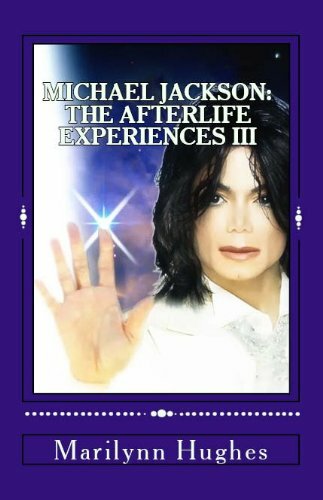 AFTERLIFE EXPERIENCES, OUT-OF-BODY TRAVEL: Returning to give a full confession regarding those things in his life which have remained a mystery, the afterlife experiences of Michael Jackson continue as Michael engages in an open self-examination. Sometimes surprising, sometimes touching . . . Michael Jackson opens up about the personal issues (and the things the world perceived as issues which perhaps were not so much) in a very forthcoming manner. This journey is fun at times, uncomfortable at others. But it is a journey which Michael insisted on sharing. Reach into the personal thoughts Michael Jackson has had since the time of his death regarding the controversial and uncontroversial matters of his life. This is a new Michael who is no longer afraid of such self-examination, nor of sharing it publicly because he knows that this personal sharing has redemptive value for the world. I love this book, starting with the name and cover. This is a true Galactic Experience. 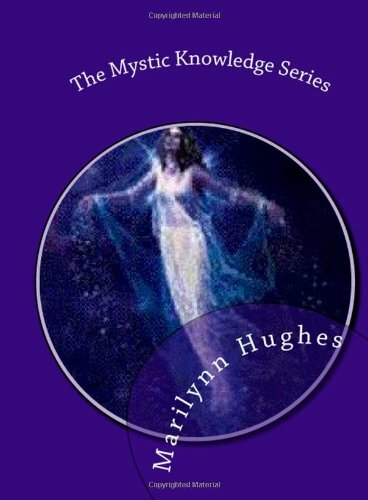 this review goes with "The Mysteries of hte Redemption"
The review that is under my name for Galactica should actually go under Marilynn Hughes's book "The Mysteries of the Redemption" -- can you take this review off of this cite and insert it under the appropriate book? Thanks -- I don't know how I ended up putting my review in the wrong place. 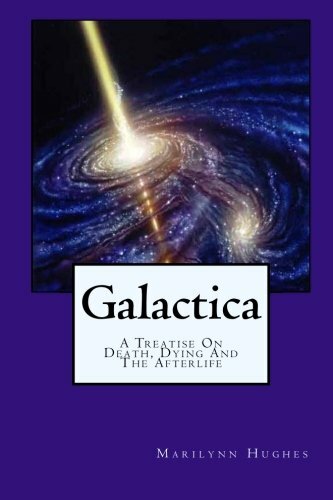 After reading this book you'll feel as though you've taken a course with your own personal spiritual master.In Galactica, Marilynn Hughes continues recounting her many visions and out of body travels.The reader gets to learn what it's like to die and what happens in death.Living with a terminal illness, Hughes has come close to death many times herself and she provides detailed information about what happens when we pass over.This information provides tremendous comfort to anybody who has ever lost a loved one.It also instructs us on how to prepare spiritually for death, how to live better lives and how to build meaningful treasures while still on earth.You learn about God's graces and also about accountability for personal sin.You learn the importance of the most minor gift of love.In this book, Ms. Hughes continues her battles against evil, but she also soars to such dazzling spiritual heights that it boggles the mind.She actually charts spiritual territory and guides the reader through astral realms that exist for everyone who is brave enough to reach for them. You learn how to do the work of real spiritual discipline in a way that none of today's self-help books show how to do.You learn that it is your birthright to be connected to God and to literally dance amongst the stars.She teaches you that you can live an existence much richer than anything you'd imagined, if you are willing to do the spiritual work involved.This book is a must read for anybody who is curious about the meaning of life, the meaning of death, about God and about spirit.She teaches you how to plug into creation, to purify yourself and to become one with love.Reading this book feels like stumbling across a unicorn. 17. 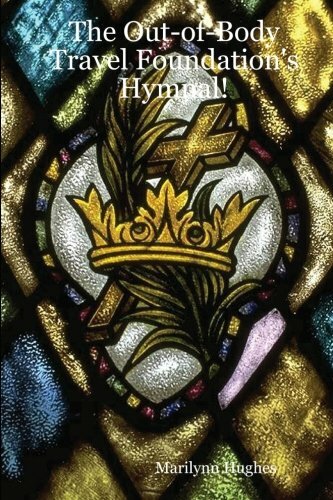 The Out-Of-Body Travel Foundation's Hymnal!